and kept adding from there. Aside from sweetening the peanut butter it also changes the consistency, making it into more of an icing. 2. Prepare trays and get double boiler warm. Never use higher than medium heat. 3. Start melting chips one bag at a time. 4. 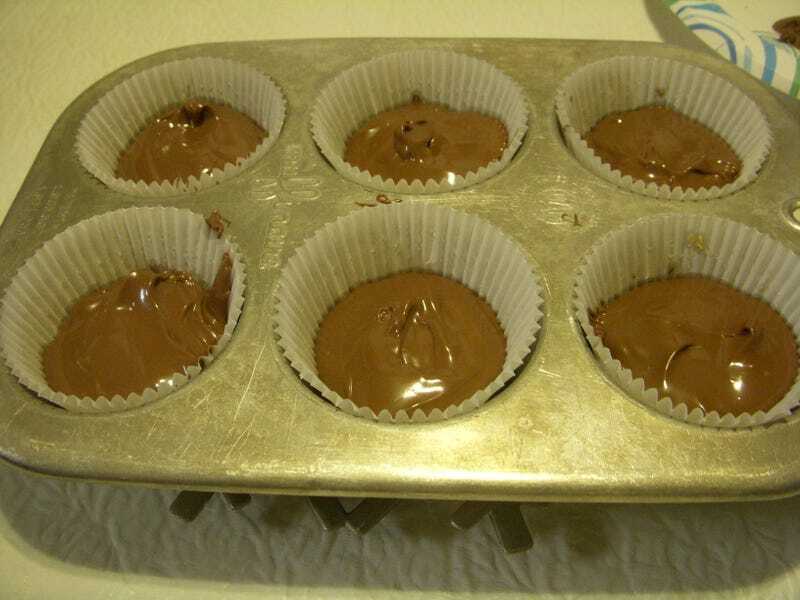 Ladle some chocolate into cups. Just enough to cover the bottom completely. Then add peanut butter and cover with more chocolate. If you run out of trays and need to reuse any, you can chill them in the freezer for about 3 minutes. That way the chocolate will harden enough to retain its shape.